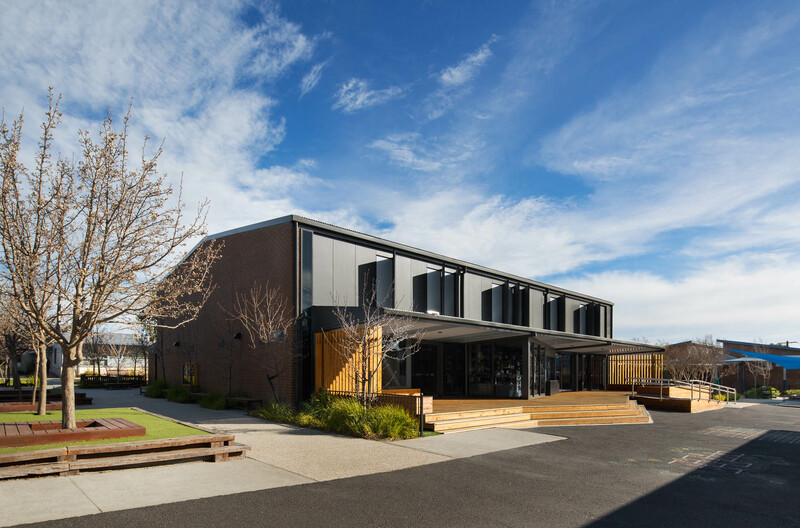 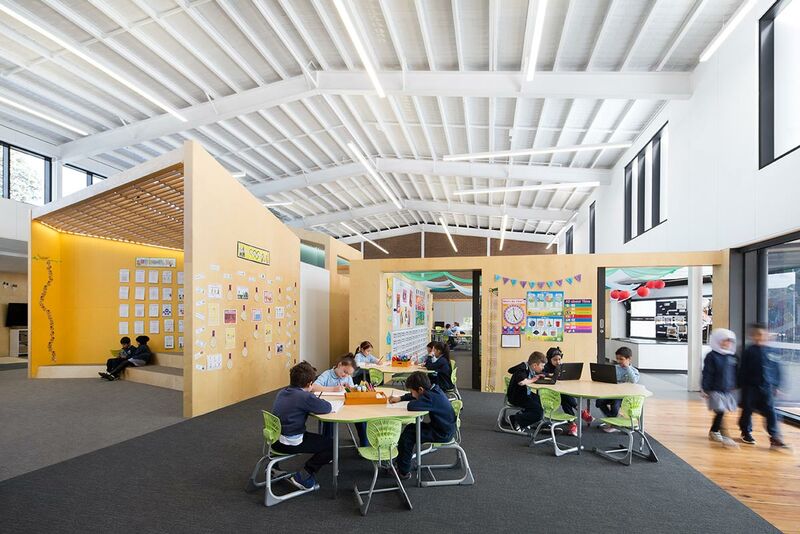 The conversion of the school’s former gymnasium – a large, characterless space – into a stimulating learning environment provides a variety of intimate and inclusive contemporary spaces designed for a range of teaching and learning approaches. 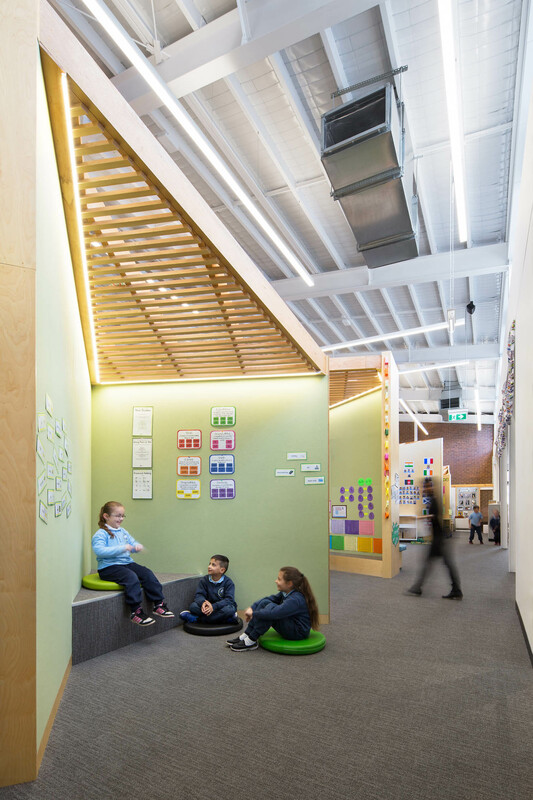 With capacity for up to 125 students, the centre operates as a year level home for grade 2. 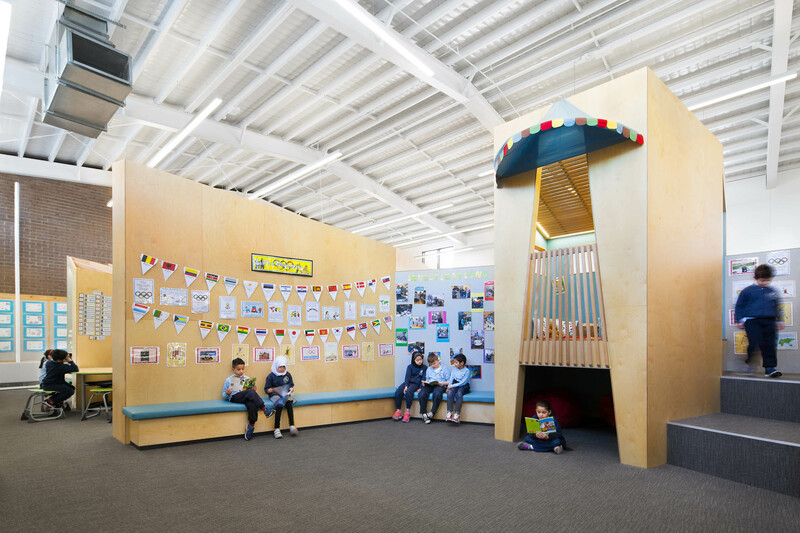 Its design allows teachers to work collaboratively, and to personalise student learning within a shared space which caters for individual, small group and larger mixed ability group activities. 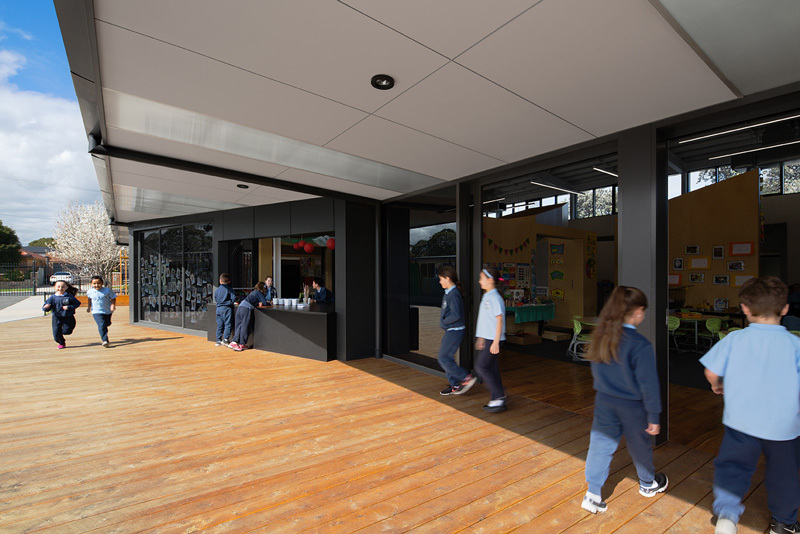 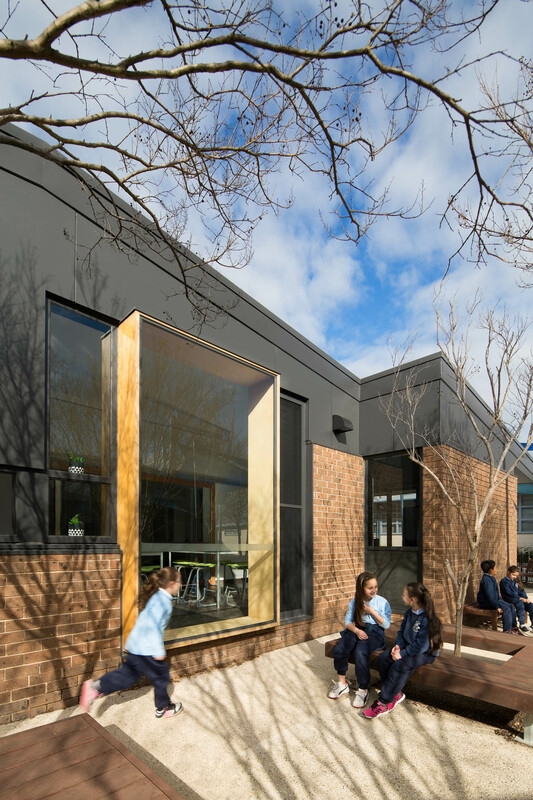 The range of purposeful settings, such as a reading castle and cubby, tiered presentation spaces and a connected outdoor learning deck, supports the school’s progressive pedagogy which embraces play-based learning. 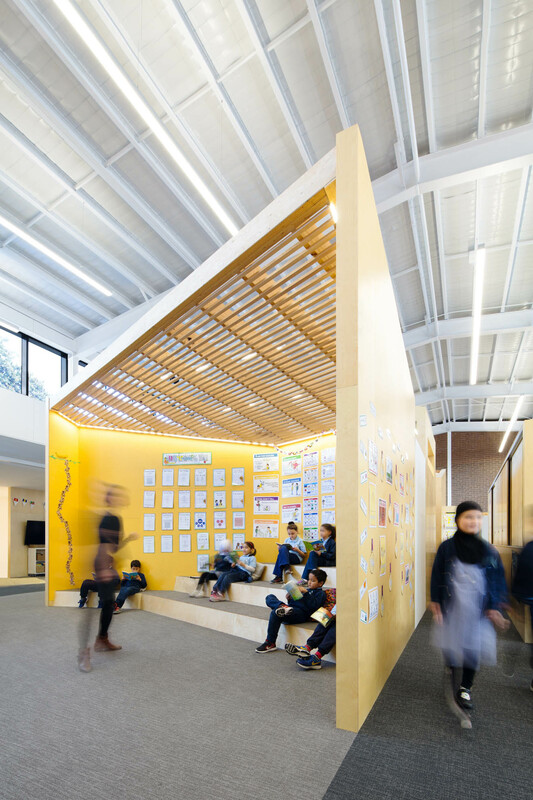 The insertion of a series of small plywood structures and the use of sound absorbing materials are measures that successful manage acoustic quality within the larger building volume. 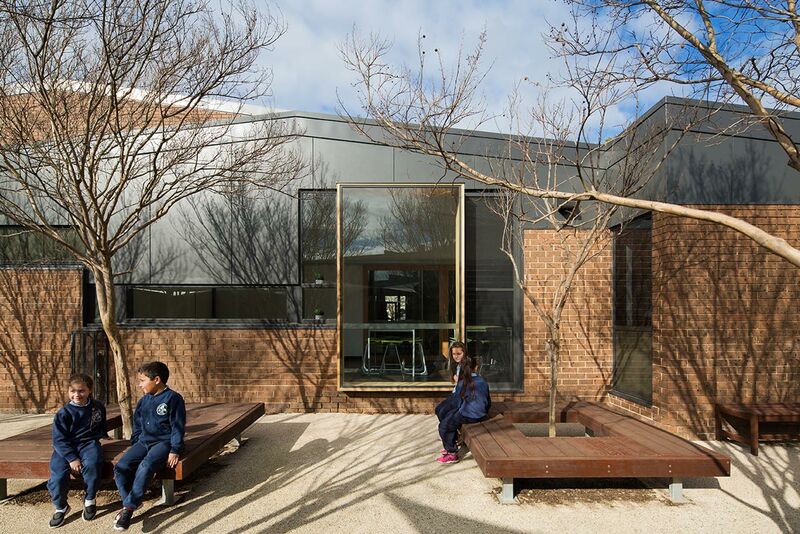 An integrated kitchen and dining space for student cooking activities also supports local community engagement by hosting a breakfast club for families, and parent education and information seminars.